As I mention in my "about me" page, one of the key things that I want to do with the MommyTasker blog is to open it up to the voices and perspectives of my friends who are remarkable people, doing remarkable things. As we all do, they have something unique to share about their experience of incorporating health, fitness, and enrichment into their personal, family and professional lives. I hope you find them as inspiring as I do. While the byline for this blog is to Inspire Busy Moms and Families to Lead Active and Healthy Lifestyles, I also hope to connect with the dads out there who are doing as much as they can for their families, while eeking out time for themselves. To that end, I am excited to introduce my first male guest poster, who is an old friend from college. He is a brilliant guy, who borders on eccentric. Among his many other achievements (e.g., Olympic-caliber rower, highly-respected scientist, and enthusiastic dancer), he definitely hit it out of the park by marrying one of my very best friends in the world. I was a reasonably competitive athlete in my 20’s, which helped me put off what seems to be an inevitable trend towards extreme heaviness in much of my family tree - like, morbid obesity on one side of the family. Historically, I had always been able to fight that off with exercise. When I stopped rowing, even though the biking and running I replaced it with represented a significant drop in total exercise, my weight was pretty stable as I lost some muscle and replaced it with fat. I did not gain a belly, in other words. But once we started having kids, basically everything went out the window except work and the kids, and after our second son I gained 20 pounds over the course of a few months. So I have dealt with this two ways. During the summer, if my wife is on pick up or drop off duty, I will commute in to work (~25 miles) by bike. It doesn't take too much longer than driving (90 minutes instead of 40), I get plenty of exercise, and it’s all on these pretty old New England back roads. But that only works during the four or so months of the year when it isn’t snowing. Between the weather, and juggling my side of the daycare duties, I have only been managing to bike for about 3 out of 10 one way commutes a week. This last year I also gave in and bought a treadmill desk, which has been fantastic. I walk for about two-thirds of my workday – in addition to bathroom breaks and lunch and so on. I have not yet started asking people I meet with in the office to “come walk with me,” and so I will also sit during one on one meetings. I typically walk around 2.5 miles per hour – I started out around 1.5, and bumped it up bit by bit over the past 6 months (walking treadmills, among other things, allow 0.1 mph increments of speed so it is easy to find a “subliminal” walking speed). This has helped stabilize my weight, although it is certainly weird to go from exercising for an hour at an elevated heart rate, to basically just constant movement. I haven’t lost a whole lot of weight, but have stopped gaining it. A few other things are notable about the experience. Most amusingly, my friends who turned me on to treadmill desks are computer programmers, and know how to type. I work all day on a computer, but I still am a “hunt and peck” typist (albeit extremely fast). So, it turns out that for people whose hands stay on the keyboard, there is little adjustment to typing when you start walking. In contrast, my hunt and peck aim actually changes depending on where I am in the step cycle – this took me a good week to adjust to. Interestingly, I have not had any trouble at all with thinking/concentration/productivity. I do feel my mind works a little differently when walking, but not in a clearly quantifiable way – mostly I feel like when I read things I am more intense about it, perhaps because I am marching towards the text? There are a few drawbacks, although they are not too bad. Most of all – this shouldn't have surprised me but somehow it did – walking up to 100 miles a week comes with a lot of chafing. 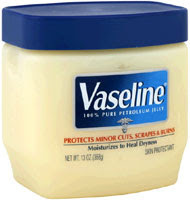 I have experimented with ways to deal with this (strategic bandaids, wearing spandex instead of boxers), but in the end Vaseline is really the way to go. As I decided not to post on Twitter, a big tub of Vaseline in your office is that little touch that really takes your office from being "eccentric" to "creepy". Another obvious challenge is that it is hard to keep from being a little sweaty at the end of the day, which is fine most days but this may vary with your job. It also constrains your wardrobe significantly. I have never been particularly “fashionable” but now I pretty routinely wear some form of shorts with socks and running shoes, which is not exactly “a look”. I have started wearing more colorful socks, but it turns out that after a couple of hard days walking and your toes will grind holes in thin sock fabric. I guess for women yoga pants or something might be the solution in terms of dress code? Also, amusingly, I now find it intensely difficult to work at my desk. For example, I broke my treadmill last week (trashed the drive belt), and so right now I am in a chair and basically bouncing off the walls. Anyway. I very strongly recommend a treadmill desk if your job allows it. That's all I got. So that's all I got too. I definitely can also vouch for the benefits of a standing desk, which I now know has the added bonus of not requiring the use of petroleum-based jellies. I also find it not at all surprising that his poor tread desk has already gone the way of the stationary bikes.